Home bookbound Celebrations chasing danger middle grade Sara Grant Sara Grant's new series Chasing Danger! I first met Sara Grant while doing my MA in Creative Writing for Children, she was one of the tutors at Winchester. She showed me how to polish my work and introduced me to SCBWI. In fact, I was so impressed with her abilities as a teacher, as well as a writer, that I enrolled on her Bookbound courses. Needless to say, I am absolutely delighted that Sara has a new series of books out. I can’t wait to enjoy her new book, Chasing Danger. When fourteen-year-old Chase Armstrong is sent to visit her grandmother at a remote tropical resort, she’s looking forward to sunbathing, swimming and snorkelling. The last thing she expects is danger. But she’s in for some surprises. She discovers that a British girl called Mackenzie is hiding out on the island. And Chase uncovers a devastating secret about the mum she’s never known. When modern-day pirates attack the island, it’s up to Chase and Mackenzie to out-run, out-think and out-fight the pirates, before it’s too late! 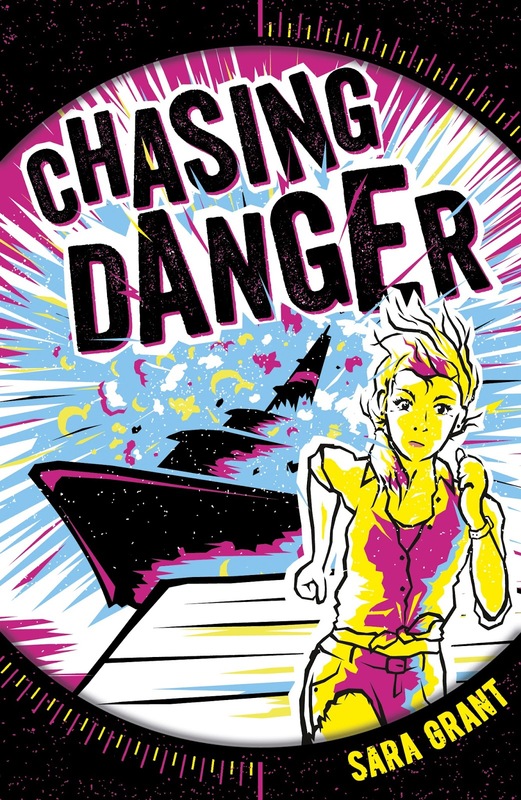 Chasing Danger is a new middle grade, action-adventure series, published by Scholastic UK. Why not check out some of Sara’s other books? I can especially recommend the Magic Trix series!